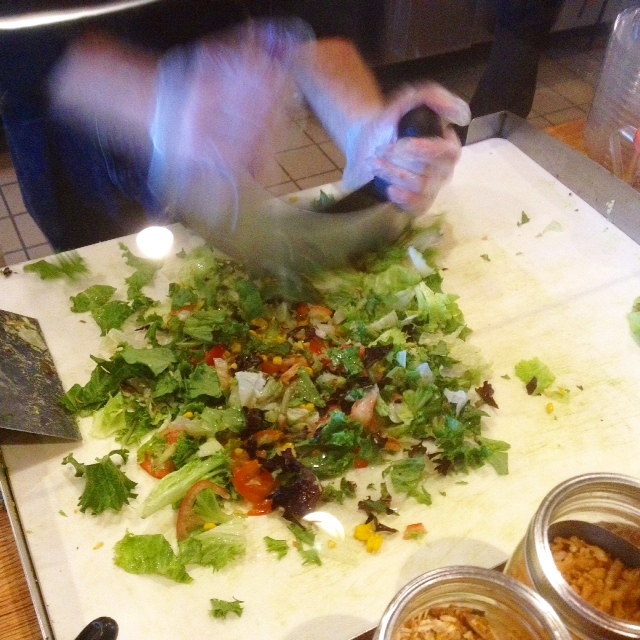 They call it an “Urban Bake and Chop Shop.” I call it a pizza joint with great salads. In either case, Crushed Red has opened its newest location in Creve Coeur at 11635 Olive Boulevard. 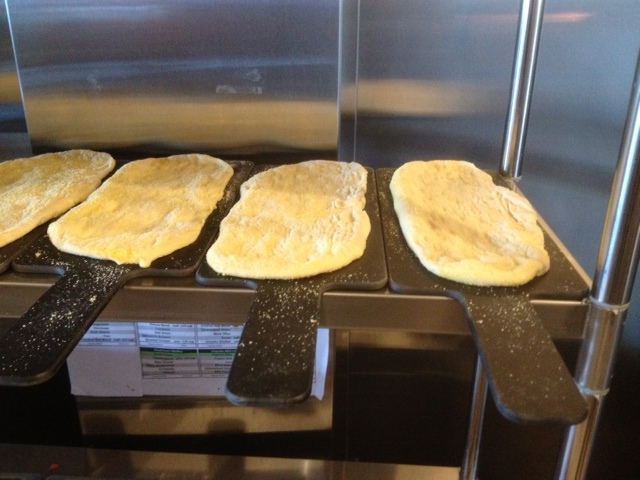 Crushed Red pizzas begin with their special crusts, shown below. You can choose from a list of pizzas whose toppings combinations are preset. Or you can craft your own pizza. 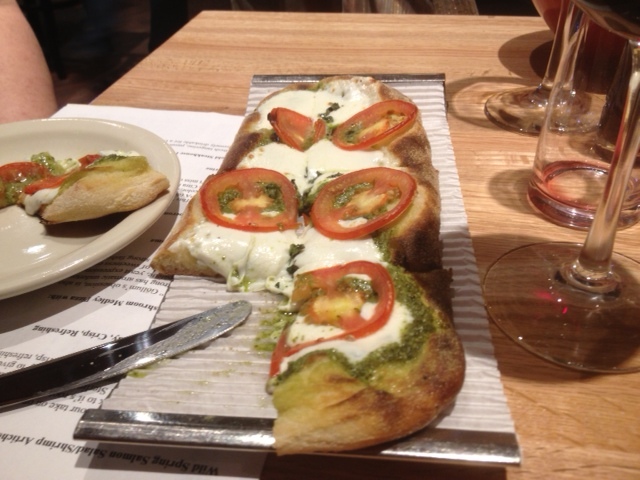 Your sauce choice, a cheese selection and a couple of vegetable toppings are included in the 6.25 cost. Meat and fish toppings are mostly priced at 1.50 or 2.00 extra. 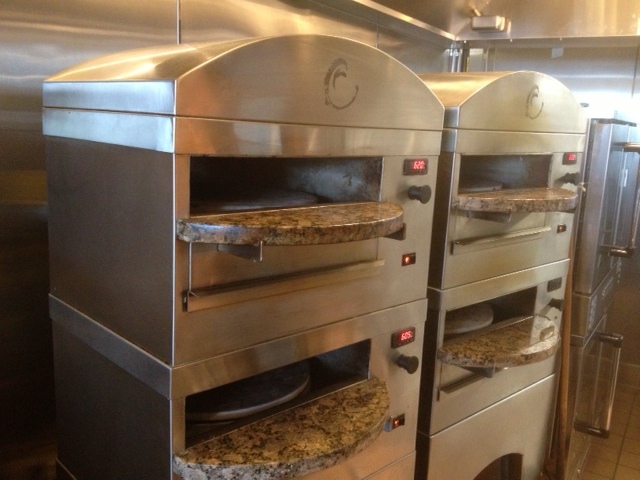 Your pizza then goes into one of their special ovens (shown below) and is cooked in—no kidding—90 seconds! Now, about the salads. (The Chop Shop part of the story.) Again, you can choose from salads on the menu or you can craft your own with a huge number of items to include (as well as ten different dressings to choose from). 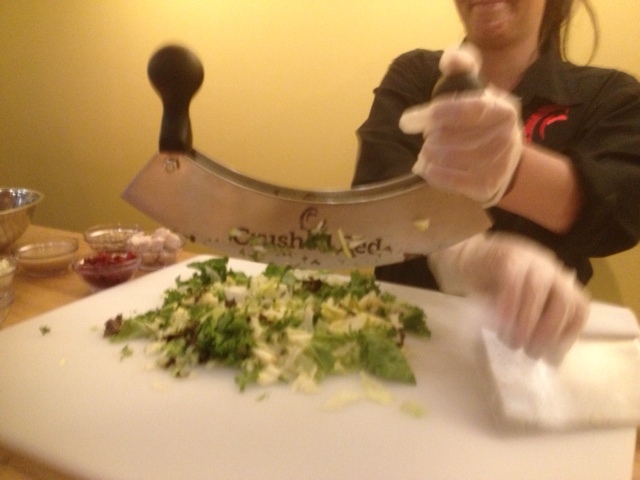 The Crushed Red crew chops the salads with a double-handled mezzaluna knife.The goal is to include a bit of everything that’s in your salad in every bite. Crushed Red also has three different soups each day as well as hummus, warm artichoke spread and warm herbed goat cheese. Beer and wine are available. 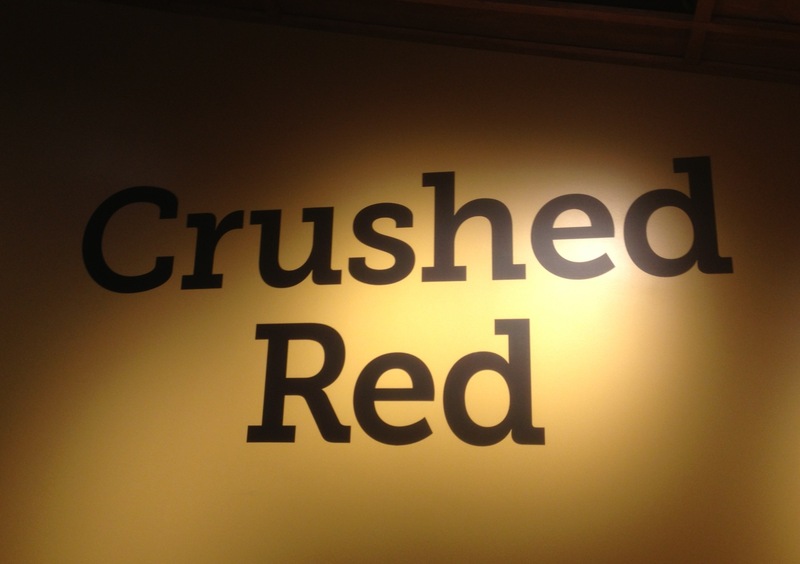 For more information about Crushed Red, click HERE to go to their website.